The elegant and boutique La Flora Resort & Spa is located right at the beautiful golden sandy beach of Bang Niang. We offer a choice of thirteen exclusive and fascinating villas, as well as various types of deluxe rooms, all of our 138 rooms are in the finest contemporary Asian design. 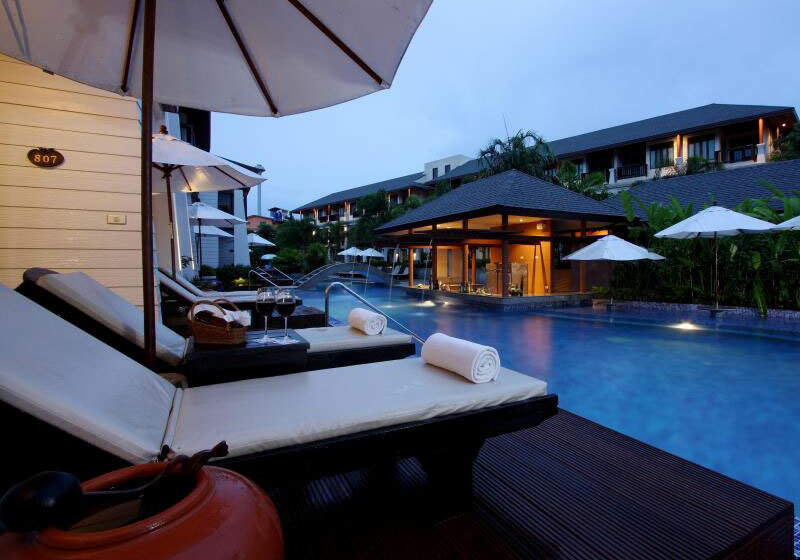 La Flora Resort & Spa is located at Khao Lak, Phang Nga province and only an hour away from Phuket International Airport. The resort is set right on the beach and within a few kilometers from Khao Lak National Park. Just off the resorts coast, you can find excellent snorkeling at Pakarang Reef and the Similan Islands are only a boat ride away. Short Description: The elegant and boutique La Flora Resort & Spa is located right at the beautiful golden sandy beach of Bang Niang. We offer a choice of thirteen exclusive and fascinating villas, as well as various types of deluxe rooms, all of our 138 rooms are in the finest contemporary Asian design.